Meissner Nordic Community Ski Trails. With 40 kilometers of groomed ski trails, Meissner is a great option for beginners and experts alike. Go on a Tuesday, Thursday, Saturday or Sunday and enjoy gliding over freshly groomed corduroy. Skiing is free but the near daily maintenance is not—make an annual donation at http://meissnernordic.org/" target="_blank">meissnernordic.org. 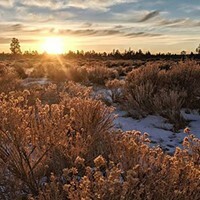 Meissner Sno Park is located off Century Drive approximately 15 miles southeast of Bend. Mt. Bachelor Nordic Ski Center. Mt. Bachelor, with its 56 kilometers of varied terrain (from pancake flat to seriously steep) boasts North America's longest groomed Nordic season. That means beginners can be experts by the end of the season in May. Aside from an extensive trail network, the area also offers a warming lodge, locker room, and hot food and drinks. This year they've added a new get-back trail that's a manageable five percent grade, a gift to casual skiers who don't relish the slog back up the absurdly steep Screamer trail after a long day of kicking and gliding. $299 for adult season pass, $139 fro youth/teen/seniors. (Tip: adults who purchase a single day alpine lift ticket get a free Nordic trail pass!). New Year's Day Relay, Jan. 1 at Mt. Bachelor Nordic Ski Center. A fun, costumes-encouraged classic and skate ski team event. Great Nordeen, Feb. 8 at Mt. Bachelor's West Village Lodge. A mostly downhill 17 or 30 kilometer (your choice) point-to-point race that ends at Wanoga Sno-Park. Cascade Crest, March 15 at Mt. Bachelor Nordic Ski Center. A once-a-year opportunity to ski a single, hilly loop on and outside the Mt. Bachelor trail system. See mbsef.org for more information. 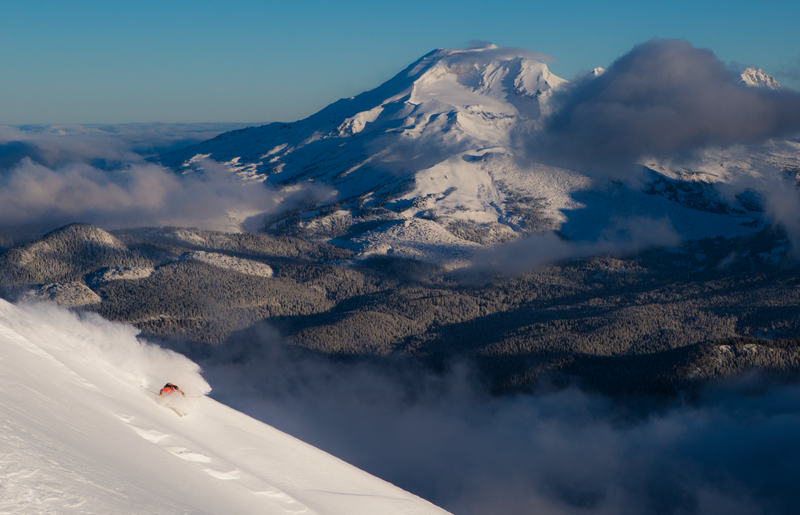 Three Sisters Backcountry teamed up with Oregon Ski Guides and together they're offering four AIARE Level 1 avalanche scholarships (free!) to deserving applicants. All that is asked is that winners pay it forward and use their new avalanche safety knowledge to teach an informational session to another group of their choice. Submission deadline is November 24. 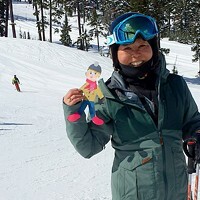 Learn more at the Central Oregon Avalanche Association (coavalanche.org). New to backcountry skiing/boarding? Take an Intro to Wild Snow class. Professional guide David Marchi (owner of Crow's Feet Commons and senior guide at Chugach Powder Guides), along with Three Sisters Backcountry, will take participants on a ski tour of Tam McArthur Rim where, between runs on intermediate terrain, they'll explain gear preparation and maintenance, safe backcountry travel techniques, terrain selection and how to skin uphill. The $100 fee includes gear rental, snowmobile transport to the base of the Rim and a full day of learning. Two sessions: November 23 and December 14. Tickets available Crow's Feet Commons. There's lots to like this year. New terrain—646 more acres, to be exact, on the mountain's lower eastside—will be open this winter in anticipation of a new lift. The lift isn't scheduled for installation until at least summer 2014, so if you ride the new trails you'll be facing a 20-minute hike out to the Sunrise base area. But the moderate terrain and lack of crowds will no doubt be worth the walk. If you're the type that likes to break up the ski day with a burger and beer (smart! ), you're in luck—Mt. Bachelor is opening a new pub-style restaurant at the mid mountain Pine Marten Lodge. Expect tasty food and a wide selection of micros. Going straight to work after a morning shred session? Now, there are new coin-operated showers in The Todd Lake Team Building (formerly known as the Guest Services Building at West Village) so you won't have offend your coworkers. And finally, families on the road take note: groms can ride where they want, for free! Yep, season pass-holding youngsters aged 6-18 can flash their Mt. Bachelor pass at Park City Mountain Resort, Copper Mountain, Boreal, Las Vegas Ski & Snowboard Resort and Killington Mountain Resort and get a free one-day lift ticket. Pyro for Snow! 5-10 pm, Nov. 14 at Crow's Feet Commons. Free entry. Warm your bones and offer up a snow prayer in front of the ridiculously huge bonfire. There's also a gear preview and fashion show put on by local shops, live music, hot food and delicious Deschutes beer. Free entry. Dirksen Derby, Dec. 13, 14 and 15 at Mt. Bachelor. $35. A snowboard parallel banked slalom race for all ages and benefit for Tyler Eklund. WinterFest, Feb. 14-16 in the Old Mill District. $6 in advance, $10 at gate. 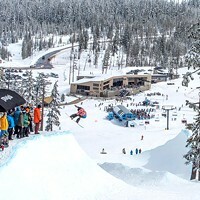 A rail jam and big air competition in front of thousands of spectators. Sledfilm, by various companies. 6 pm, Nov. 9 at Tower Theatre. $6. Ticket to Ride, by Warren Miller. Four screenings: 6 pm (all ages) and 9 pm (21+), Nov. 15 and Nov. 16 at Tower Theatre. $19. McConkey, by Red Bull Media House. December (time, date and cost TBD) at Crow's Feet Commons.